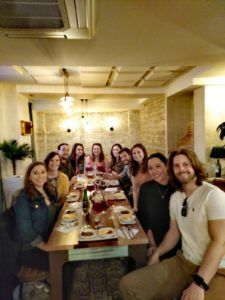 “I wanted to personally thank you for planning our trip to Southern Spain. You were able to plan an amazing trip for quite a large group in a short amount of time. It was a wonderful time/experience and everything came together so nicely. Our driver for the week was absolutely lovely. Also, our tour guides in Malaga and Ronda were especially exceptional and personable, we were sad to part ways.